Spruce up your holiday home with this beautifully embroidered Christmas stocking. Featuring two, felt polar bears and a velvet cuff with cotton trim, this embroidered stocking makes a lovely addition to any home. 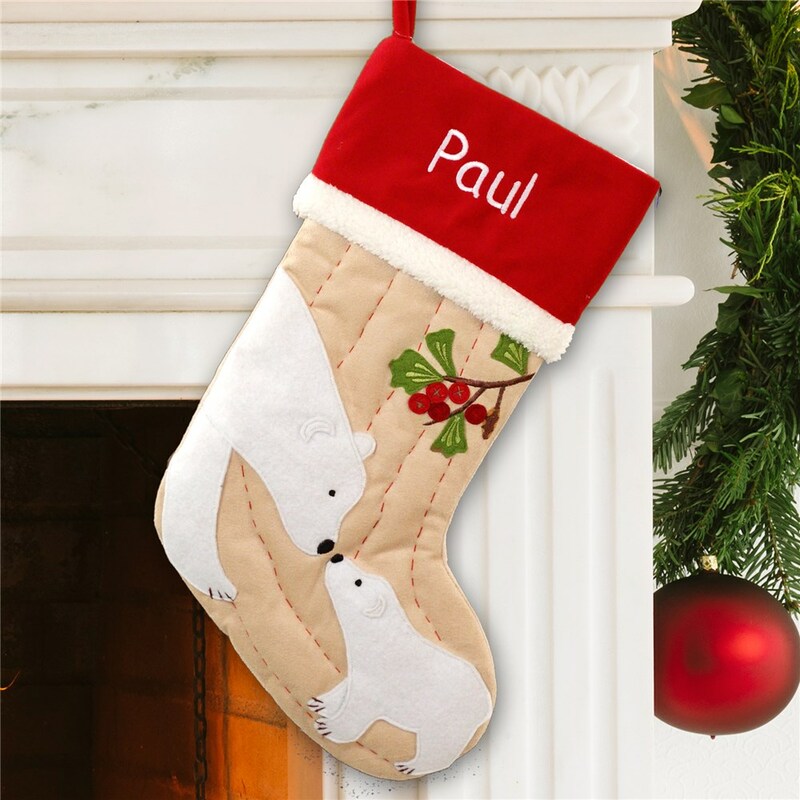 This stocking measures 19" long and includes free personalization of any name in white thread. Fast service. Nice product. Thanks! This stocking is beautiful. Very good quality for the money. The name is very neat and professional looking. I'm extremely pleased., I would buy from this company again. Additional Details Shop GiftsForYouNow and you get FREE personalization on every Christmas stocking and gift. Check out this pretty silver embroidered snowflake Christmas stocking or this cute snowman personalized stocking! Shop GiftsForYouNow for personalized Christmas Stockings in time for the holidays.